As a business owner, you have a duty to not only make your business appealing to your clients, but also to protect them and your employees as they enter and exit your building. With all the rain that Central Florida receives during this time of year, it is easy to neglect the fact that it is building up a film and mildew on your sidewalks. This can lead to a very slippery surface. That in turn can lead to lawsuits due to falls and injuries on your property. Whether you are a new business or established one, a lawsuit can be the death of your company. You can prevent that from happening by working with a commercial pressure washing team such as the one here at Warren’s Power Washing. Our team has years of experience in making sure your commercial property looks the best it can and that it is safe for everyone who ventures in. With all the rain that comes and hangs around, it is easy to forget your sidewalks need to be cleaned on a regular basis. Stains can develop, and they can also become quite slippery due to mold or mildew, or algae growth. It is imperative that you take time to have the walkways cleaned and remove any type of stains and debris that could cause your customers or your employees to fall. Our team uses a low-pressure washing system that is perfect to get away the dangerous and unsightly stains on your walkway and protect your landscaping at the same time. We work in teams to ensure that your property is well cleaned and well protected throughout the time of the appointment. We also provide a number of commercial services such as cleaning your signs, pressure washing your buildings and other items to help you make sure you get the most out of your commercial location. Call our office today to set up a consultation and see how we can help you with all your commercial cleaning needs. 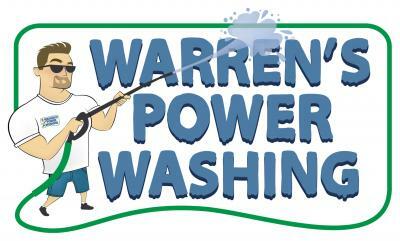 Warren’s Power Washing  is a family owned and operated, it has been a stable member of the Citrus and Marion County communities since 2008. Jason Warren has a great understanding of the local comm service the Ocala, Dunnellon, Belleview, Citrus Springs, Marion County and Citrus County areas respectively. Give us a call  352-489-3339  for a free estimate. Keep Your Commercial Building Appealing to Clients!